The essential guide to radiation: the good, the bad, and the utterly fascinating, explained with unprecedented clarity. Earth, born in a nuclear explosion, is a radioactive planet; without radiation, life would not exist. And while radiation can be dangerous, it is also deeply misunderstood and often mistakenly feared. Now Robert Peter Gale, M.D. - the doctor to whom concerned governments turned in the wake of the Chernobyl and Fukushima - in collaboration with medical writer Eric Lax draws on an exceptional depth of knowledge to correct myths and establish facts. From Hiroshima to Chernobyl, Fukushima to the growing legacy of lethal radioactive waste, humanity's struggle to conquer atomic energy is rife with secrecy, deceit, human error, blatant disregard for life, short-sighted politics, and fear. Fallout is an eye-opening odyssey through the first eight decades of this struggle and the radioactive landscapes it has left behind. We are, Pearce finds, forever torn between technological hubris and all-too-human terror about what we have created. 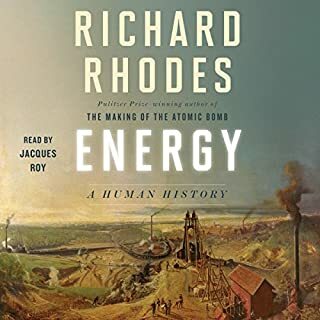 Along the way we learn a lot of science, review the history of nuclear energy, relive the battles over it, see how successfully it has been applied all over the world, examine the misconceptions, and compare nuclear power to other energy sources, with their risks and benefits. Cravens is not out to deliver a polemic, however. Coming from a childhood spent building fallout shelters, Cravens viscerally understands the terror the word "nuclear" evokes. She gives us a vocabulary for practical risk assessment while investigating the psychology of nuclear fears, starting with the secrecy of the Manhattan Project and the legacy of government cover-ups both here and in the USSR. One by one, she dismantles the arguments against nuclear energy. ©2007 Gwenyth Craves (P)2011 Audible, Inc. 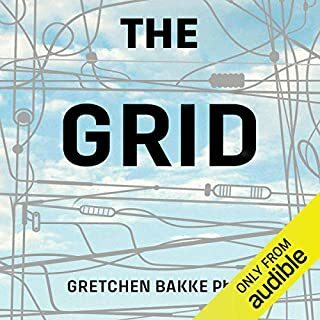 This is a perfect book for Audible readers. 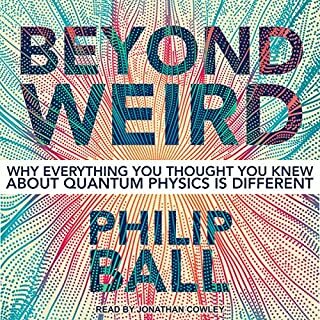 I bet there is a large portion of Audible members who read because they love learning more than they love being entertained. This book is both an expose on nuclear energy and also a story of personal discovery from the author. Gwyneth openly admits to beginning her research from a deep-seeded anti-nuclear point of view. The more she learned about her topic, the more she learned that she was wrong. Gasp! Nuclear energy is GOOD. I wish there were more books like this one because they are about enlightenment; they are about solving problems with truth instead of superstitious beliefs. Education can defeat fear. 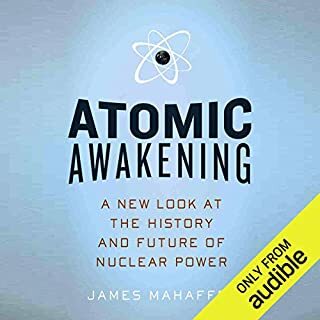 In this book the author explores nuclear energy, the alternatives to nuclear energy, and then realizes the importance of coming face to face with our fears of it. We can’t see radiation. The word itself evokes mushroom clouds, Chernobyl, and mutated animals. There is something psychological about why we fear nuclear energy, but this book wants us to look under the bed to see there is no boogey man. The upside is nothing less than a serious replacement to fossil fuel consumption and our dangerous dependence on foreign oil. Before we can embrace nuclear energy, we first must understand it. Loved the book. Great information encased in a story that felt more like a journey. A bit repeatative at times but still enjoyable. The information about nuclear is amazing. The author began her journey as a skeptic and afraid of it. Once she decided to research it, she took tours and spoke with experts and changed her mind to full support of the energy source. The only knock I have is her position on climate change. She would fall into the alarmist category imho. That over bias lends to the work being dragged down a bit. It wasn’t even needed anyway. Nuclear is cleaner and greener than any other energy source. I think most rational folks would agree that this is ideal and once you factor in that it’s also the cheapest and requires less space than any other energy source, it makes it a no brainer. I enjoyed Gwyneth's narrative on the second read more, focusing on Rip (a friend of hers with a deep background in nuclear power and disposal). I would heartily recommend this book to people who are new to nuclear power and concepts. It doesn't focus much on advanced reactors, looking more to the existing technology of light water reactors and the challenges they can pose. This book has a heavy emphasis on allaying concerns many have about nuclear power, and the reader that is concerned with such things is the ideal target audience. A very good read for laypeople interested in the subject like myself. This book was very informative of the nuclear power life cycle in a learning story experience of the author. It did get a bit hard to finish and boring at times but all in all had some good take aways about the entire process cradle to grave. 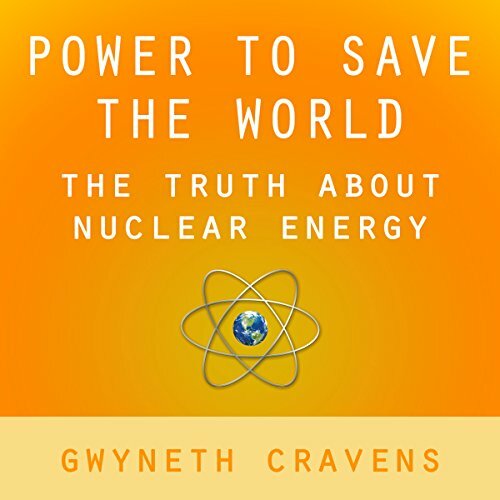 Ms Cravens is a lifelong environmental activist who once held the conventional view that nuclear power is evil, evil, evil. Unlike a lot of activists, she got curious enough to actually look at the science of nuclear energy. After looking deeply at the science of nuclear energy she realized that if man caused climate change is real, then nuclear power isn't an option, nuclear power is required to save the world. 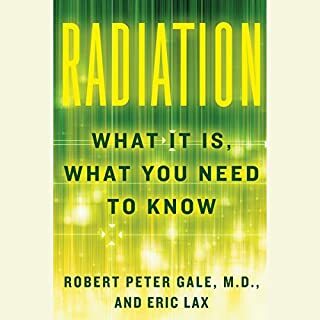 The most helpful part of the book is the deep discussion of what radiation actually is, the different types of radiation, effects of radiation on living things, and how much radiation people are exposed to in their daily lives. The author traveled around the country visiting nuclear energy related facilities around the country. She goes into explicit detail concerning radiation levels, half lives, safety standards, and risk comparison with other industrial processes. The author goes into so much detail that the book becomes a bit repetitive near the end, hence the four star rating. Having said that, this is still a must read book for anyone interested in nuclear energy. This book gave the layman a general understanding of the different kinds of nuclear technologies. It explained why it is the best technology for the future. It is the safest and it causes the least amount of pollution to the environment. The book explain how we can get rid of all the dangerous waste by recycling it through the use of an Intergral Fast reactor and create waste that will be safe in 2 to 4 hundred year. It went into the inherit safety of nuclear power plants and why they could never blow up like atomic bombs, even if you hit one with a full sized passenger jet. Then it went into a long discussion of how we are currently storing our nuclear waste and what we plan to do in the future. We can survive and leave a clean planet to our children and children's children if if we just move to nuclear power. Then we will have enough energy for the future. France did it in less than 20 years and even sell some of their power. 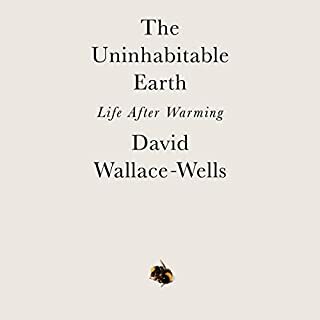 If you're curious about nuclear power or looking for some insight to support an arguement for climate change, this book is a great start. As the reign of fossil fuels draws nearer to an end, now more than ever it is important to be informed on our options that satisfy our need for clean energy. This book delves into the complex details of the many facets of nuclear energy and breaks them down for easier mental digestion. From its discovery, the complexities of radiation and exposure to it, the disasters that befell Chernobyl and TMI to nuclear disarmament for power generation to name just a few. Cravens documents her discussions with experts in the field well and the narrator makes it easy to keep track of who's who. If you're looking to gain a foot hold on a complex but important subject, this book is for you. nuclear energy is the only realistic solution for the mankind for several hundred next year's. fossil fuels are dirty, solar and wind energy has limits and is neither environment saving nor free.